Authorities in Mexico said they rescued a sedated tiger cub that had been placed in a plastic container and sent via express mail. 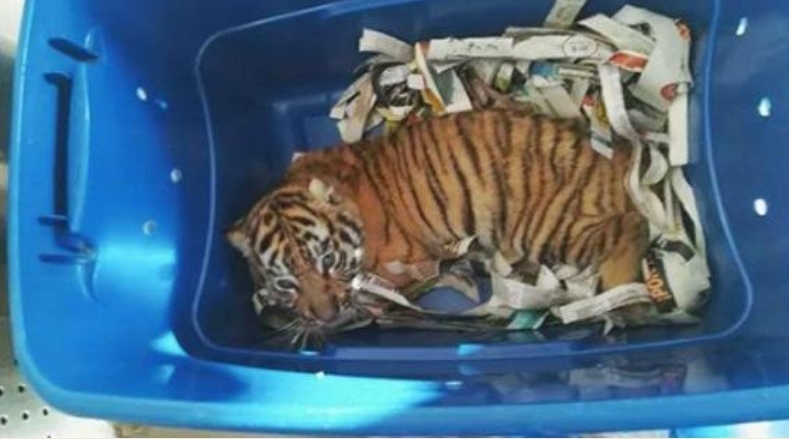 Mexican authorities have found a tiger cub in a plastic container, due to be express mailed to another address. 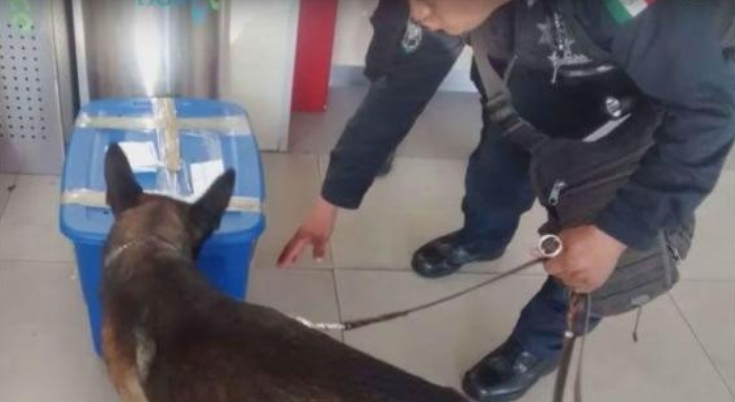 The Office for Environmental Protection on Wednesday found the Bengal cub when a sniffer dog looking for contraband detected it in the plastic container, sedated. The cub was found in the package filled with newspaper clippings, in the western state of Jalisco, due to be shipped to an address in the central state of Queretaro. The cub was dehydrated but otherwise well, and was handed over to an animal management centre. The plastic tub was full of newspaper clippings but there was no food or water inside. The Mexican agency seized the cub on the grounds that mailing it was animal mistreatment. The papers for its registry were present and correct. Responses to "Mexico authorities catch animal traffickers trying to mail a tiger cub"
Revolting!! So glad this poor soul is okay and that this crime was intercepted.